Fruit pies are wildly popular, particularly around the holidays. And this fresh plum pie recipe calls for just enough cinnamon to make it festive. Using two crusts, this pie recipe is simple enough for even the novice baker, while it promises an impressive result. Prepare pie pastry. Roll and line pie plate with half of the pastry. Combine tapioca, sugar, salt, cinnamon, and plums. Pour plum mixture into the prepared pastry-lined pie plate; dot with butter. Roll remaining pastry; fold over and carefully cover the fruit mixture. Trim edges, leaving a 1/2-inch overhang then flute. 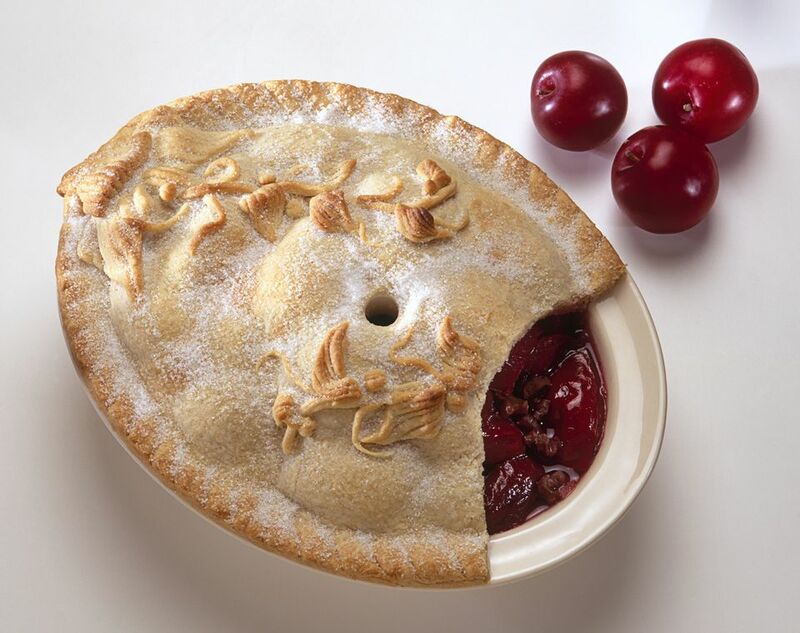 Cut several 1 1/2-inch slits in a pinwheel design in top of pie to let steam escape. Bake in a preheated 425 F oven for 45 to 55 minutes, or until filling is bubbly and crust is browned. If edge browns too quickly, shield with a strip of foil.